Just when you thought Game of Thrones couldn’t get any better than a white walker army, we get Daenerys Targaryen mounting Drogon to round out an epic battle in the Meereenese arena. The Cast Beyond the Wall is back this week to talk about the rise of the queen of dragons and the fall of Stannis the Mannis and boy, do we have a lot to discuss. The Sons of the Harpy finally made another move against Daenerys as they upended the tournament in the fighting pits and began killing everyone, including the despised Hizdahr zo Loraq. After being banished twice and killing a few men in the process, it looks like Jorah has finally won back Daenerys’ trust after chucking the so-called spear of destiny at one of her assassins. Elsewhere, Arya’s storyline continues to crawl to a climax as she has a run in with Meryn Trant when he arrives in Braavos with Mace Tyrell. Her season arc has been promising, but has really lacked the progress and urgency of some of her past storylines. On this instalment of The Cast Beyond The Wall, Daniel and I get into a heated debate to decide whether or not the slower pace has been worth the wait. 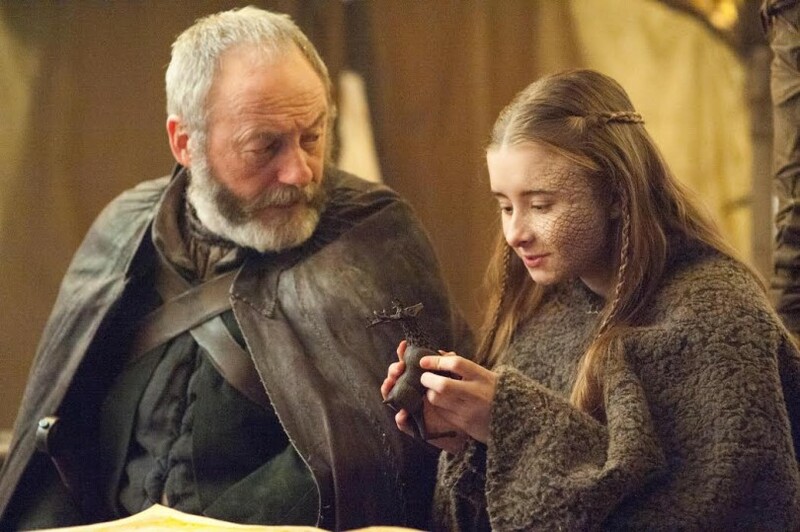 Finally, after a season of building our trust by aligning himself with Jon Snow and promising justice in the North, Stannis finally crossed the point of no return when he decided to burn his daughter Shireen. We’ve never been the biggest Stannis fans on the podcast, but we discuss the high hopes we had for him and his cause before he decided to take a nosedive into desperation. “The Dance of Dragons” was filled with the highest of highs and lowest of lows, and we try to lay our final verdict on the season’s infamous episode 9.